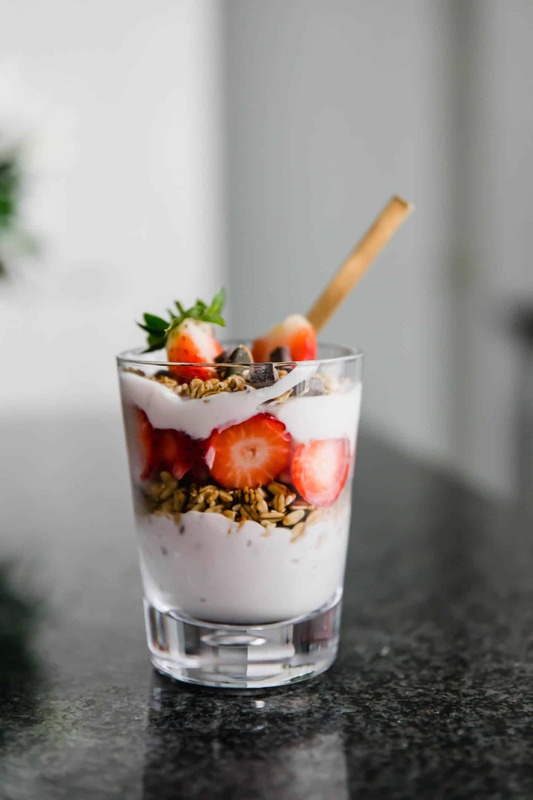 create your perfect personalized breakfast parfait! Breakfast parfaits are a regular thing in our house. 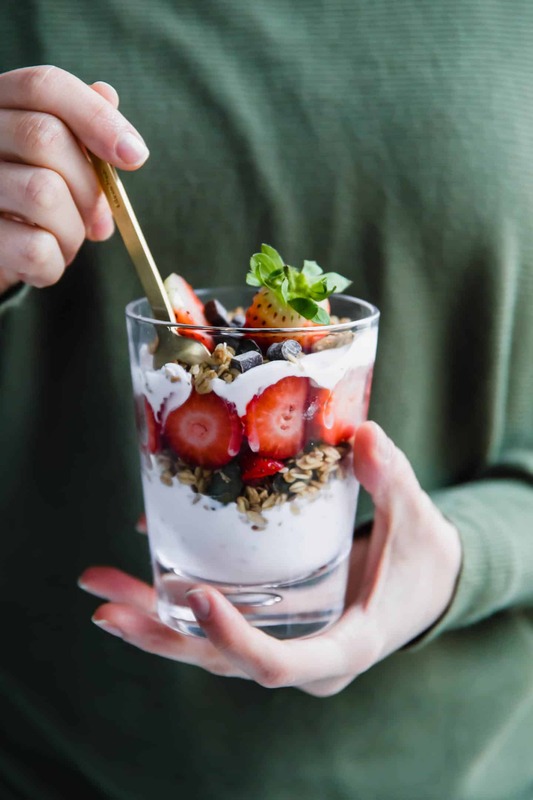 A perfect balance of fresh fruit, granola, yogurt, and honey in a portable, easy to eat breakfast. 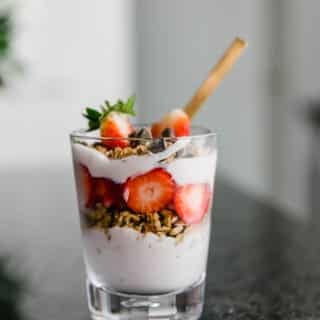 Truly, this is a family favorite breakfast and one that, if you haven’t put into your menu rotation, I want you to jump on the parfait train in a big way! Here are some of our tried and true additions to breakfast parfaits. I buy mix-ins based on what is currently on sale. Granola, yogurt, and honey are always in our cupboard but the rest…that’s always a fun surprise ;). Does granola get soggy in yogurt? Sure, but it will take quite a long time for that to happen. 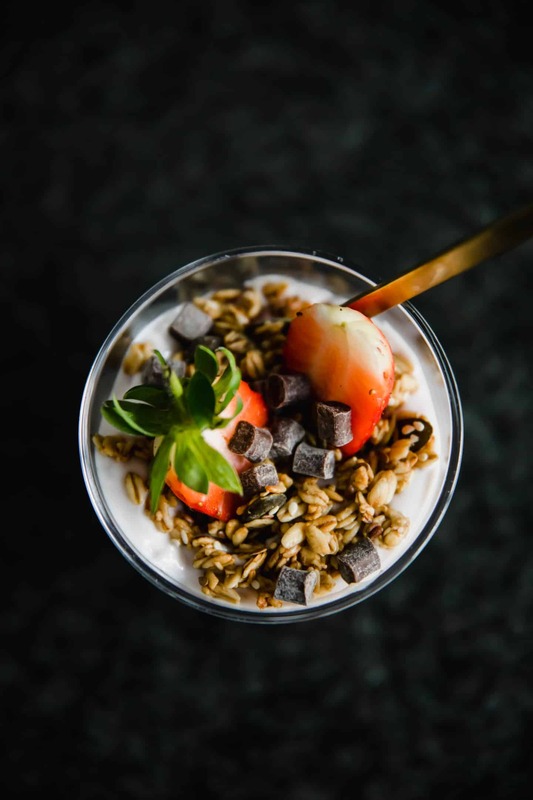 You have more than enough time to make your parfait, coffee, pour juice, and put on your makeup before you have to worry about soggy granola. To be EXTRA sure that your granola doesn’t get soggy, put a layer of fruit on either side of the granola. Our favorite parfait is homemade (a recipe is coming at you soon!) or Bear Naked Chocolate kind (that stuff is crazy! ), fresh strawberries, plain organic yogurt, a drizzle of honey, and a sprinkle of cinnamon. The best part is that breakfast parfaits can be personalized for each person very, very easily. Mine have a bit of coconut, chia seeds, and nuts. Levi’s is all fruit, granola, yogurt, and a good dose of honey. Nate loves nuts, banana, yogurt, granola, and a bit of maple syrup. Tip: Breakfast parfait bars are the perfect solution for busy family holiday mornings. Put out the “fixings” and let everyone create their perfect parfait. 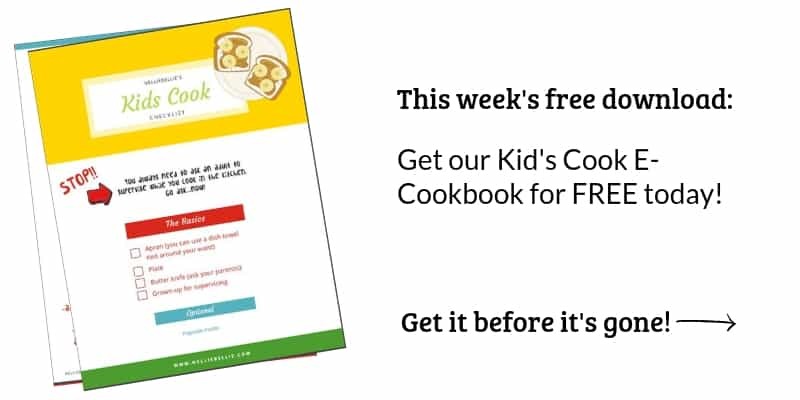 Layer the ingredients however you like. Enjoy. 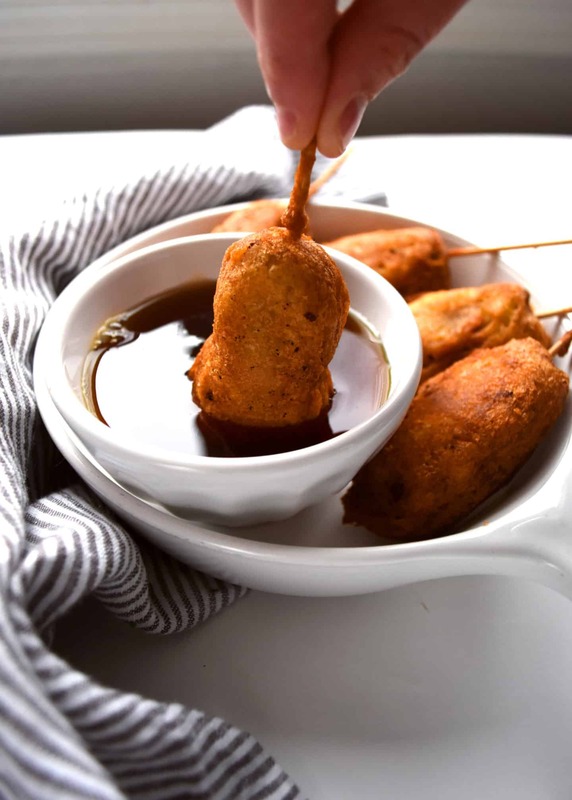 These breakfast corn dogs are great for making ahead and freezing. And they are delicious! 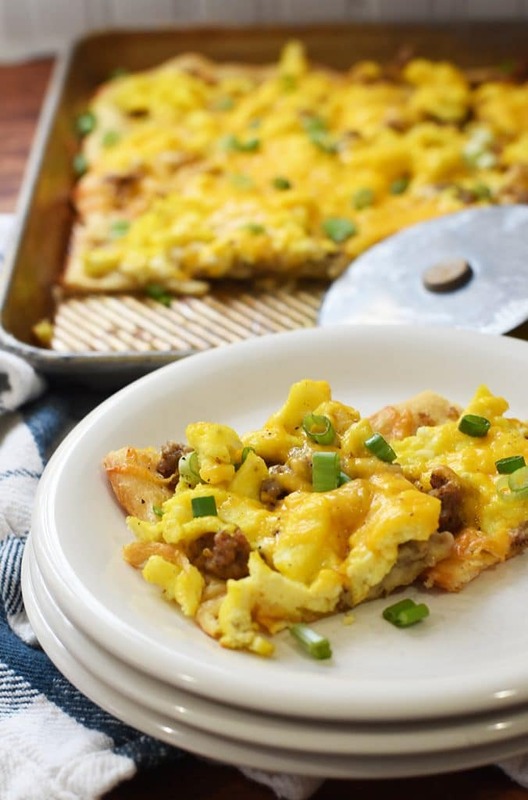 Crescent Roll Breakfast pizza is crazy easy and delicious! 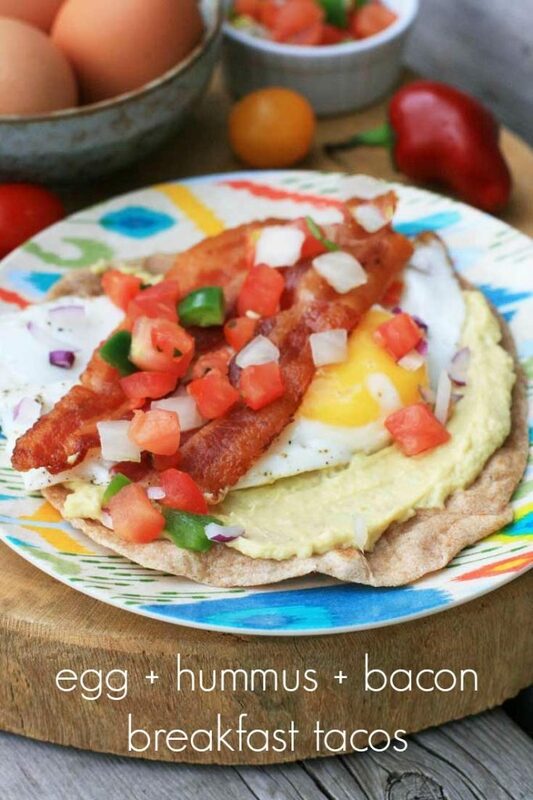 Nothing quite easier and more family friendly than Breakfast Tacos.